Today, Apple released its new set of emojis; hours later, the people have spoken. While the hundreds of new additions reflect more diversity of race and a "live long and prosper" hand, tacos and middle fingers remain all but absent. 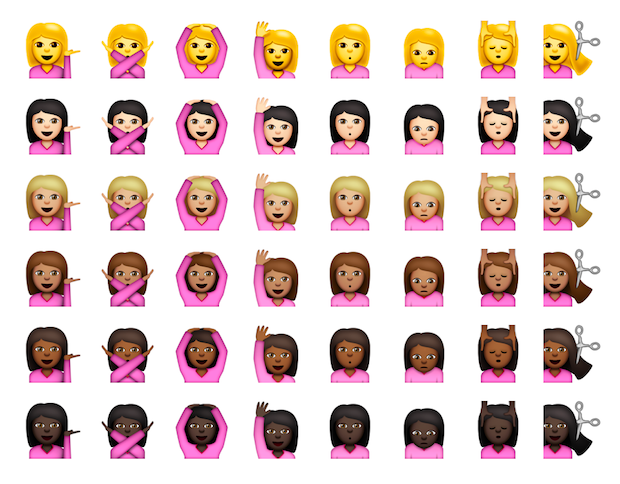 There's a "change the tone" option for skin color, but if you have anything earlier than the newest iOS 8.3 update, all black people appear as aliens. You'd think they would have checked that.